N.C. 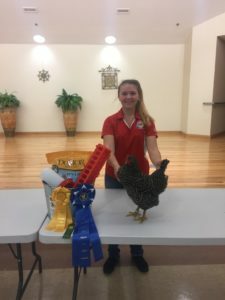 Cooperative Extension, Currituck County Center is hosting a 4-H Domestic Poultry Show Saturday, November 2, 2019. This year, as part of the registration process, participants will choose the breed to be shown. On the registration form there are four breeds listed. Participants are asked to rank each from 1 to 4, with 1 being the favorite and 4 being the least favorite. Once registration is complete, the winning breed will be announced, and that will be the one shown this year. The breeds from which to choose are: Rhode Island Red, Buff Orpington, Black Australorp, and Wyandotte-silver laced. All are brown egg layers. To learn more about each, or if there are any questions about the breeds please see the 2019 Poultry Show page. The show is open to all youth ages 5 to 18. The registration fee of $15 covers all show costs, two chicks for the show, and additional poultry show workshops. The only chickens permitted in the show are the chicks received through the program registration. Participants will receive their chicks at the poultry workshop in May where they will also learn the basics of chicken care. More details on that meeting will follow at a later date. To register, please visit our online form. Please register no later than April 12, 2019, to participate. Make checks payable to Currituck County and return them, by mail or in person, to the N.C. 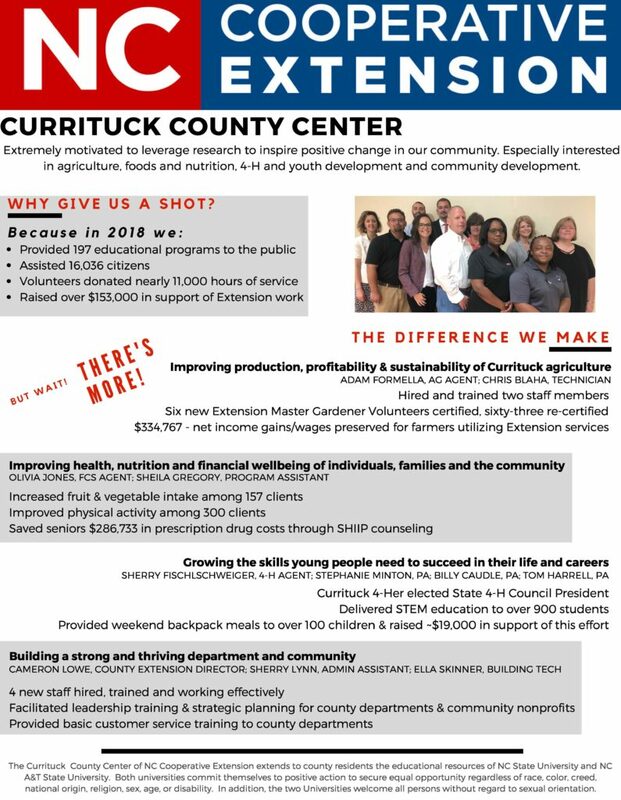 Cooperative Extension, Currituck Center located at 120 Community Way, Barco, NC 27917. Registration is not complete until your program fee is received. For more information or accommodations for persons with disabilities please contact Stephanie Minton at (252) 232-2262 or by email at stephanie_minton@ncsu.edu no later than ten business days before the event.